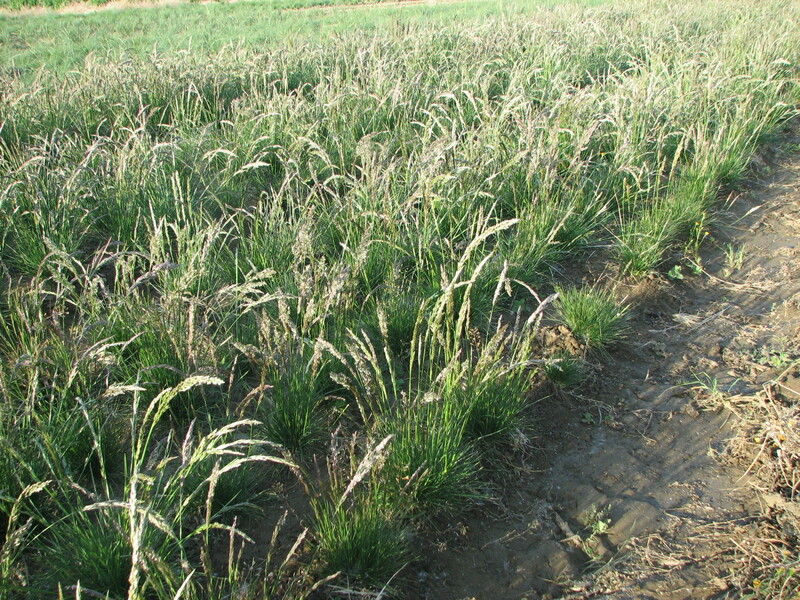 Poa secunda is a complex of cool-season perennial bunchgrasses that mature early in the growing season and are dormant by early summer. In the past, this complex included 45 named species however, through greenhouse studies and further testing there are now only seven accepted species. Similar to other native bunchgrass perennials, established P. secunda species have extensive, deep, and fibrous roots, making them drought tolerant and resistant to grazing and trampling. Livestock finds these species palatable but only when they are green and generally won’t eat them once cured. However, livestock are not the only animals that feed on P. secunda, birds and small mammals find their seeds quite tasty. As early colonizers, P. secunda species are some of the first to establish after a disturbance. As the community composition succeeds to a later stage, P. secunda can be found between larger bunchgrass individuals. This growth pattern helps deter invasive plant establishment because of their extensive above and below ground cover. For these reasons P. secunda seeds are often found in native seed mixes. Majerus, M., Holzworth, L., Tilley, D., Ogle, D., Stannard, M. 2009. Plant Guide for Sandberg bluegrass (Poa secunda J. Presl). USDA-Natural Resources Conservation Service, Idaho Plant Materials Center, Aberdeen, ID 83210.